Michael Feeley is a former UK police officer of 17 years’ experience, he is a trained police investigator and evidence gatherer and he is classed as an expert witness. These events just seemed to find him, by pre-destined design! He has also been visited by an Egyptian Pharoah! 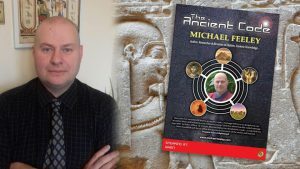 Michael however, now uses his investigative training to decipher and reveal the great and ancient mysteries of our time that have until now been deliberately concealed from us all. Just what were the Pyramids of Egypt and Stonehenge really built for and what was their real purpose? How does the face on Mars and its Cydonian City connect to both of these famous Earthly monuments and how? Did Zecharia Sitchen mis-translate the Anunnaki Sumerian Scrolls’? Michael believes so and has a new interpretation of them! Just who were Jesus Christ, Mary Magdalene, Mary & Joseph, Moses, Noah and Adam & Eve and what is their true identity? Michael is about to reveal all and answer such questions that have been pondered over by global scholars and alike for thousands of years! Please note: The Universal Lodge in conjuction with Truthjuice Bristol is hosting this event.